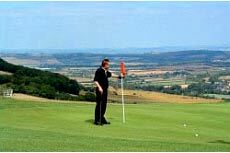 A popular sport on the isle of wight, golf can be enjoyed by the whole family wether its 9 hole pitch and putt or a championship course the island has it all in just 147 square miles. You can be sure which ever course you choose you will enjoy the islands trademark stunning views and beautiful weather. 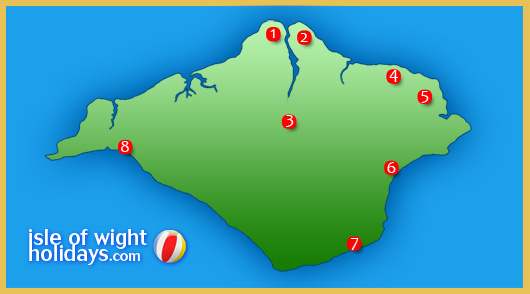 Below is a map and details of just some of the most popular courses on the island. 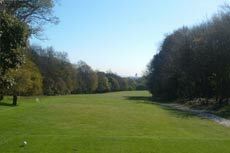 A friendly, welcoming Club, with a beautiful challenging heathland course. They are the only County Championship course on the Island, and are fast becoming recognised as one of the best courses in the South of England. 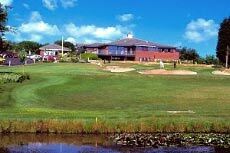 Ryde Golf Club is home to a fine course that will challenge players of all levels of ability, skills, ages and handicaps. Whether you are young or old, beginner or more experienced, you will find plenty here to test every aspect of your game. Good course management, solid shooting, unflinching accuracy and sound club selection are at a premium here, vitally important if you are to score well. Osborne Golf Club is situated in the grounds of Osborne House on the sunny Isle of Wight just off the south coast of England. 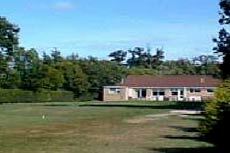 The club was formed in 1972 from Osborne House Golf Club which was itself established in 1904. A ´Gem´ set in a precious part of England´ (A quote by an anonymous visitor who said he had a par on the 5th) Newport Golf Club is a Golfer´s Golf Course! With its setting on the downs above Newport, the ´Capital´ of the Isle of Wight, surrounded by fantastic views to Portsmouth on one side and Southampton on the other, Newport Golf Club is superbly located between splendid downland vistas to write home about. Add to this the most important ingredient, a most challenging Golf Course built by Golfers for Golfers. This excellent parkland course boasts some of the finest greens on the island and is located on the edge of Cowes with fantastic views over the Solent. Although nine holes, the course with alternate tees presents a challenging 18 hole test which many golfers have underestimated at their peril. Westridge Golf Centre is a family friendly facility. 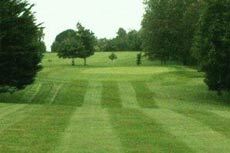 Our mature, easy walking course has been designed to provide a challenge to both beginners and skilled players alike. Our practice facilities are second to none and we have the only flood lit driving range on the Isle of Wight. With expert advice on hand from 4 fully qualified P.G.A. professionals. Every course has it´s signature hole. Perhaps, it is the second that takes this honour. A testing drive between trees, to a narrow fairway. Not only is a straight ball called for but distance too is important to permit a relatively easy chip to the green, which is at right angles to the fairway. The third hole also provides a challenge with longish carry over scrub to a ´tightly´ guarded green. 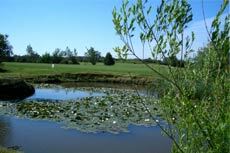 If you suffer from fear of water then you may have to find an alternative route to the sixth, a picturesque hole that tempts the carry across the water. 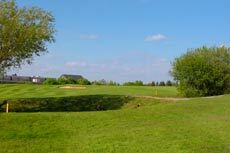 Whatever your standard, we know that you will enjoy a round at Westridge Golf Centre. Ventnor Golf Course is the oldest course on the Isle of Wight and was founded in 1892. 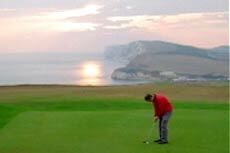 The course is in a very pleasant downland and cliff-top setting with probably the finest views on the Island. Providing panoramic vistas over the surrounding countryside and English Channel. It is unusual in that it is a twelve hole course, alternative tee boxes on several holes providing variation on the back nine. The overall length is approximately 5700 yards, SSS 68 par 70. Enjoyable and challenging to both low and high handicap players.